The final part of our design solution process, prior to installation on site, is the development of the production process for which the machine is intended. Ensuring that the machine performs to agreed specifications is critical both to the customer and CMT. 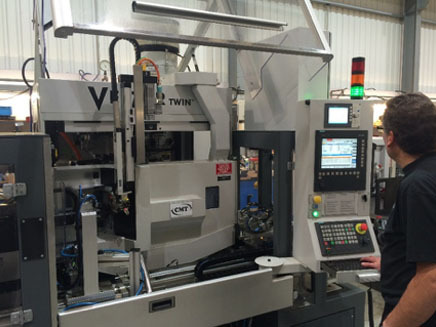 Our process engineers assigned to your project will ensure that each aspect of the machine fully meets the functional specifications as determined within the contract and will continue this through to factory acceptance testing. Factory acceptance testing can be performed with or without the customer being present for the trials. Whichever method suits you, we perform the trials in exactly the same detailed way according to your requirements. 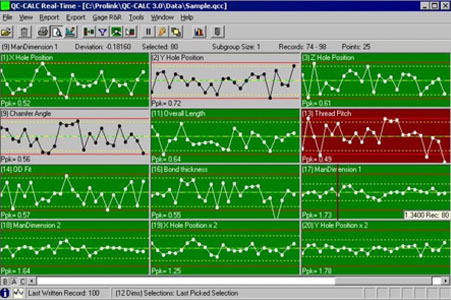 Our process engineers are trained in running full Machine and Process capability studies (Cmk & Cpk), using the latest statistical process control software linked to our optical measuring systems. Once the factory acceptance testing is complete, the machine will be finally checked, split, packed and delivered (according to pre-agreed criteria), re-assembled and installed on the customer’s site prior to final site acceptance, testing and training. Where possible we encourage our customers to visit CMT for factory acceptance trials at the UK site in order to understand the functionality of the equipment and how it is operated and controlled.